Download chapters 1, 2 and 3 (out of 6) for free now! The beta of chapter 4 has three days available! Next will be free roam, coming to you after nano. The beta is available for all patrons of Minyan studios. The full chapter will be released for free once it's done! Rating: 16+ for language and suggestive themes. There are a lot of comedic moments, but was the drama included in a way that was able to put the comedy aside, or did it just seem an odd jump from comedy? How was the pacing, did everything flow well? Who did you start to romance? And I'd love to see screenshots of the outfits you guys put together! A dramatic adventure set in a fantasy world where appearance is everything and humans are at the bottom of the totem pole. able to battle over and over again with limited damage. far more than just a matter of pride. 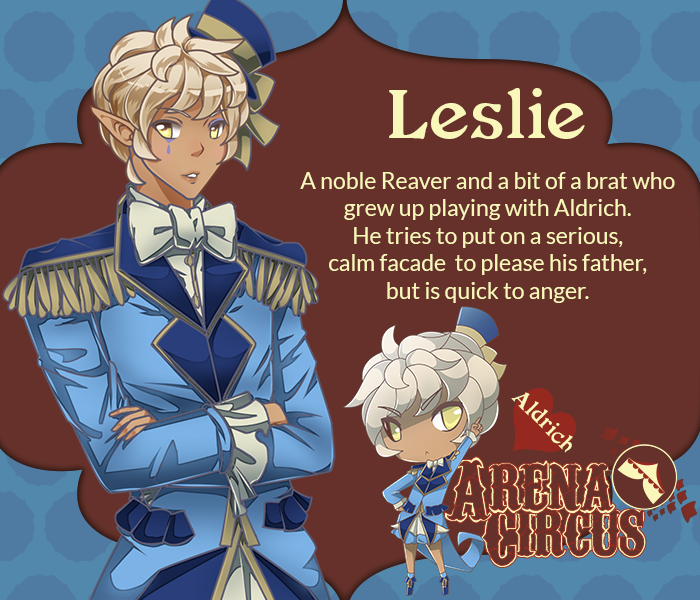 > A story filled with drama, comedy, romance, and two distinct branches. Which side will you choose? > Two characters you can play as, one male one female. > A battle system featuring timed choices. > Two main characters with clothing available for the head, torso, leg and feet, as well as accessories. > Quests to earn money to buy clothing, accessories, and change small things in the world. > Free roam with characters to talk to, quests to do, and clothes to buy! Lillie's play through will be done first. I again just want to thank everyone who's followed this and added your comments, it means so much to me and has really been motivation to keep going. Check the end of the thread for more detailed updates! Last edited by minyan on Sun Apr 07, 2019 11:04 am, edited 166 times in total. 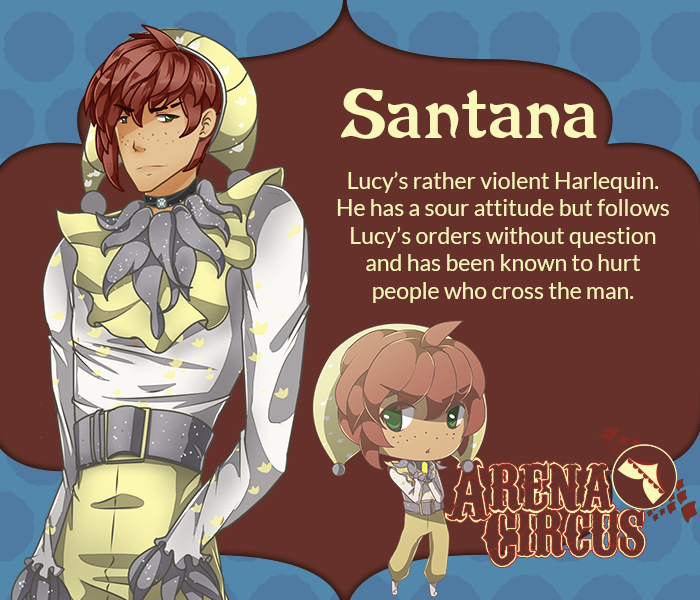 A circus and fantasy-ridden tale promising romance? I'm interested! I think it's great that you're planning on making this a gxb/bxb game -- there's simply not enough VNs of this genre out there. I adore the artwork. 1. Does this sound like something you'd be interested in playing? 2. Is the premise confusing? I'm not a fan of stories that throw a bunch of foreign terms at me, like "Reavers" and "Sacrifices," but I don't think the premise is confusing. 3. 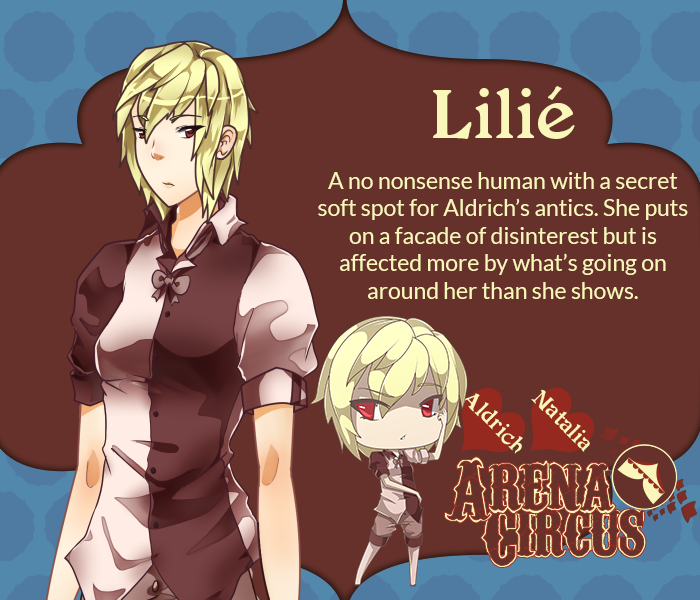 Would a VN with a battle system turn you off? Actually, that sounds great! There's little to no VNs with battle systems out there, so this idea would bring something new into the mix. Not a fan of the phrase "dating sim," but I would like to have a choice between who the main character(s) could romance. I think it'd add tons more playability value to the game. This sounds like a great game in the making, and as an avid lover of VNs, I'd love to jump on board if you need any assistance, like with editing. Just PM me if you need help. 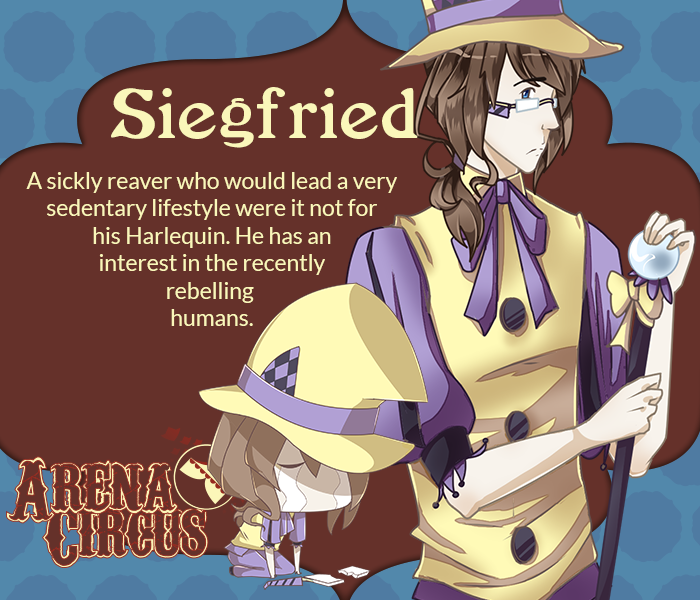 Poyox4 wrote: A circus and fantasy-ridden tale promising romance? I'm interested! I think it's great that you're planning on making this a gxb/bxb game -- there's simply not enough VNs of this genre out there. I adore the artwork. Thanks for the feedback! I appreciate it- I'm glad you like it ;u; I was a little worried about a battle system being a deal breaker for people because it's not seen a lot, but it's good to know that it is something people enjoy. The premise sounds interesting so far though! Yep >w<b I am pretty much into fantasy RPGs so this is definitely something I look forward to! 4. 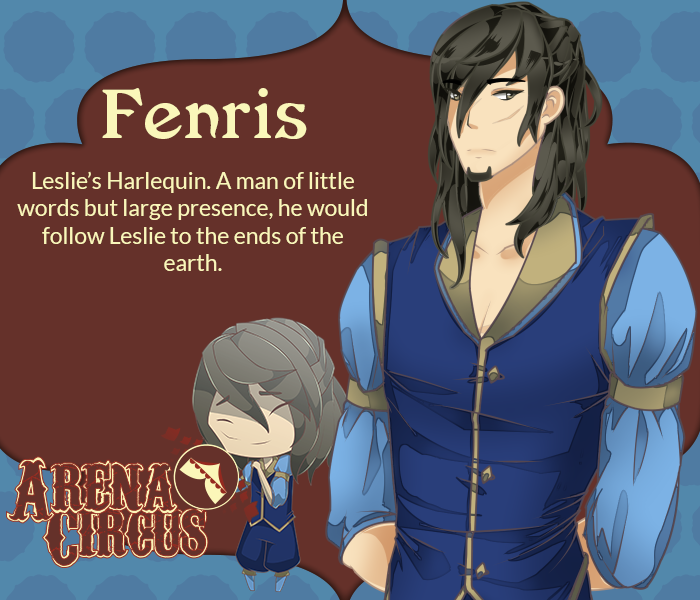 Would you like seeing a romance develop between the MC's, or would you rather it had a more dating sim style where you could choose who you were with? PS: Btw the term "Covevnent 9" threw me off track XD Maybe it was the working title of this game or so Idk XD? Very interested. I'm more interested generally in story and romance than battle stuff, but that's a very personal preference. I find the stories in VNs or even games in general far more compelling than grinding through battles! I didn't think so. Sounded very clear to me. It wouldn't turn me off, as long as it had a solid story and characters behind it And the battle stuff was spread out between story. Hm, I have to say as long as it has some romance, I don't mind Having one love interest means you can develop the romance deeper, but having multiple means people are more likely to replay it. This sounds like a brilliant VN! Love the art so far! Hazel-Bun wrote: Love the art so far! Thank you! I can't wait to get to work on the sprites. 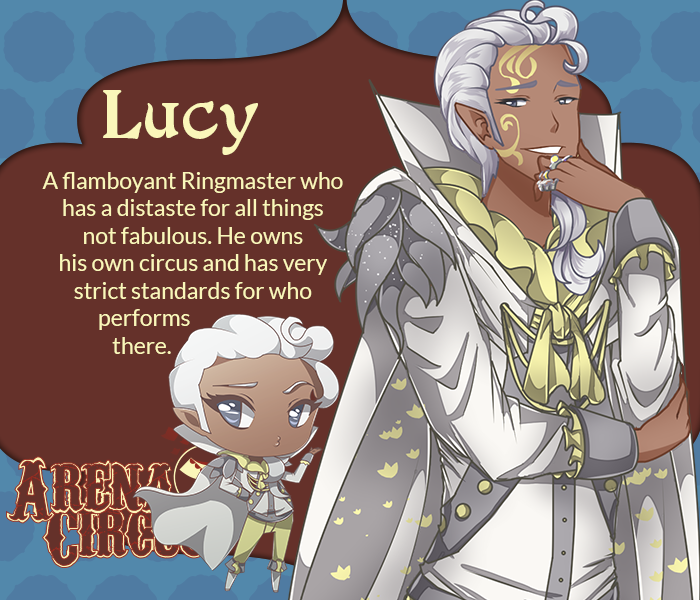 ;u; I'm forcing myself to wait though- until I have a more concrete character count so they can all be as unified as possible xD So for now just GUI! Last edited by minyan on Sun Feb 21, 2016 11:46 pm, edited 1 time in total. With the GUI done, I'm gonna start on the sprites! I thought about drawing the backgrounds too, but I think I'll just stick to free ones xD I'm really not a background artist. Got Aldrich's sprite done! Just need some expressions. I went more simplistic on the shading because I wanted a more anime-ish feel to it, and wanted it to match the relatively simple shapes and colors of the GUI. What do you guys think? Last edited by minyan on Sun Feb 22, 2015 3:58 pm, edited 1 time in total. 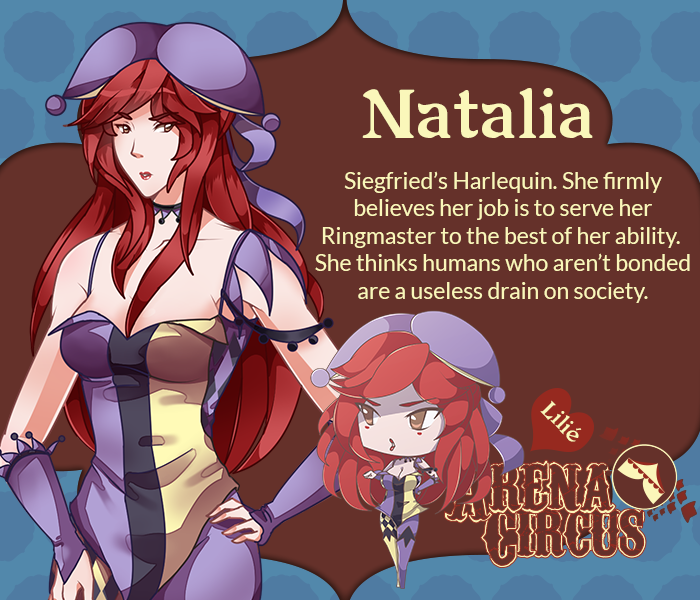 This piqued my interest if solely for the circus theme and interesting battle system that goes hand in hand with the story and setting (I'm a bit of a gear head when it comes to game design). Loving the GUI design and hope to see a demo of this soon. Wide Mouth Ink wrote: This piqued my interest if solely for the circus theme and interesting battle system that goes hand in hand with the story and setting (I'm a bit of a gear head when it comes to game design). So like I said part of the gameplay is being able to buy different outfits to dress up Aldrich and Lilie. Because... 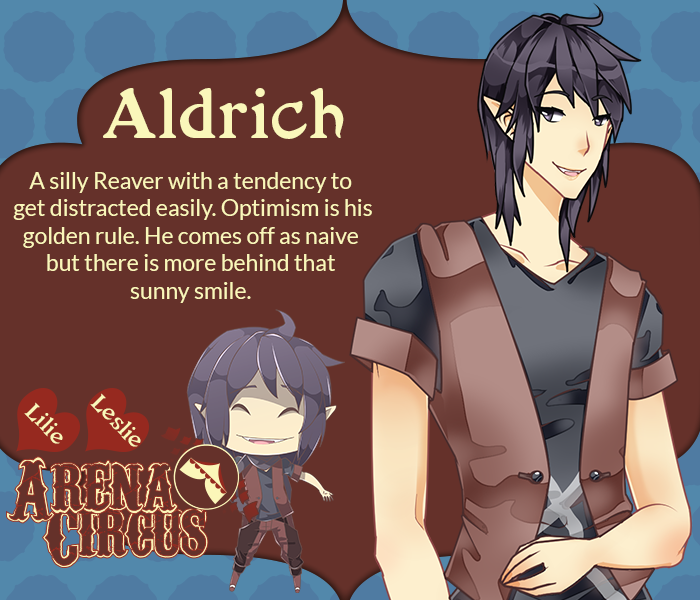 I like dress up games xD Right now I was thinking of letting hats, shirts, and bottoms be changeable for Lilie, and earrings, shirts, and bottoms be changeable for Aldrich (he doesn't like wearing hats). This part of the game is purely for fun, although people will comment if you're wearing something strange and different characters like different types of clothing, so if you wear an outfit a character likes, you can raise their affection towards you. Last edited by Demetis on Mon Feb 23, 2015 6:02 am, edited 1 time in total.